Kaliteli konsept seçimi ve performanslarıyla öne çıkan CorISTAnbul Oda Korosu, yaklaşık 16 koristten oluşmaktadır. 2011 yılında müzik direktörü ve şef Arda Ardaşes Agoşyan ve şef yardımcısı Natali Boğosyan tarafından öncelikle çok sesli a cappella (eşliksiz) koro eserlerini seslendirmek üzere kurulan koronun repertuarında Rönesans’tan günümüze farklı dönem, dil ve tarzda eser bulunmaktadır. Albert Long Hall ve İngiltere Başkonsolosluğu gibi mekânlarda konserler veren CorISTAnbul Oda Korosu’nun 2012 yılındaki “Adın Ne Önemi Var?” temalı bahar konseri uluslararası önemdeki Schott Music yayınevinin sitesinde yer almış; ayrıca, 2013 Aralık ayında verdiği “Stanford’dan Britten’a: Müzikal Soyağacı” konseptli konseri de İngiliz besteci Benjamin Britten’ın 100. doğum yılını kutlamak üzere dünya çapında düzenlenen “Britten 100” adlı etkinlikler serisine Türkiye’den tek katılımcı olarak duyurulmuştur. Boasting choristers from professions as diverse as diplomat, writer, academics, deputy manager, department chair, language teacher, political analyst, lab manager, actor, lawyer, mathematician, translator and interpreter, music teacher, musician, either student or graduate, and from different nationalities ranging from France, the Netherlands, Canada, the US, England, Ukraine, Armenia, Germany to Turkey, the choir with its colourful staff works under the choral and musical direction of Arda Ardaşes Agoşyan. 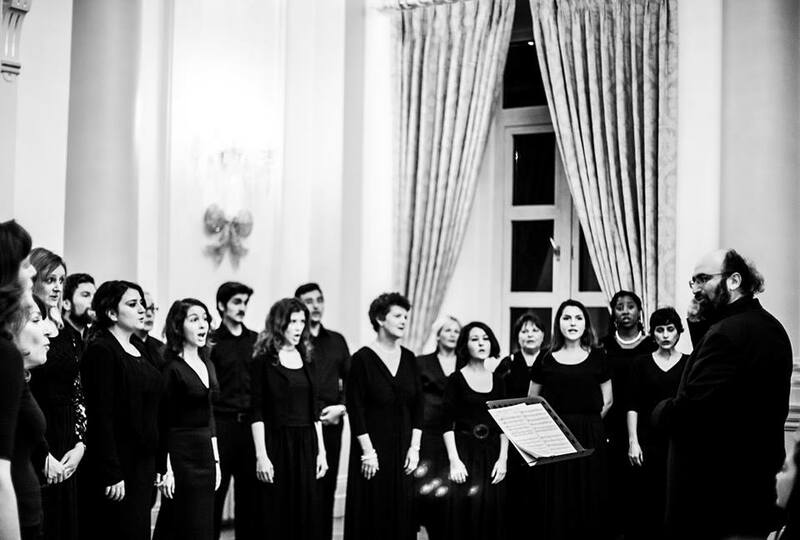 An SATB choir of 16 members, CorISTAnbul was formed by Arda Ardaşes Agoşyan and Natali Boğosyan in 2011 mainly to sing a cappella pieces in the music literature. Included in its repertoire are a variety of pieces from different periods, languages and styles. Our choir also gives accompanied concerts and shares its repertoire with the audience a few times a year with a consistently high level of musicality and performance. The choir’s main objective is to contribute to the tradition of choral singing as opposed to operatic singing, thus covering for what we see as lacking in Turkey. It is then a kind of school for those not from the tradition of this kind of singing, and choristers are trained by our professional director in this fashion. Among the choir’s aims are world premiering the pieces that the director arranges or composes for a cappella choir or various instruments and that are the first of their kind (e.g., “Romeo and Juliet”: Concerto for double bass solo and choir), thus adding pieces to the music literature from Turkey. Agoşyan’s “Seven Songs on the Rubáiyát of Omar Khayyám” has been lauded by the audience from Turkey and abroad. Yet another aim of the choir is Turkey premiering significant classical pieces in Turkey. The always sings pieces in their original languages.